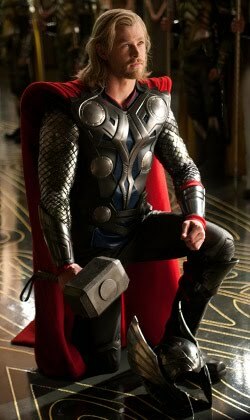 The Wort Report: ‘Thor 2’ to be Directed by…Patty Jenkins? Marvel Studios has confirmed that Thor 2—set for release on Nov. 15, 2013—will be directed by Patty Jenkins. Is this good news? Honestly, I don’t even know. According to a posting on Marvel.com, Jenkins directed Charlize Theron in Monster, and helmed episodes of Entourage and Arrested Development. So there you go. I’m disappointed that Kenneth Branagh won’t be returning for the sequel, as I thought he gave the Asgard sequences in the first film a near-Shakespearian level of gravitas (which was no surprise given his background). Still, Jenkins has a fairly diverse resume, and might very well be a good fit to bring us the further cinematic adventures of Marvel’s God of Thunder. To read the full announcement, head over to Marvel.com.